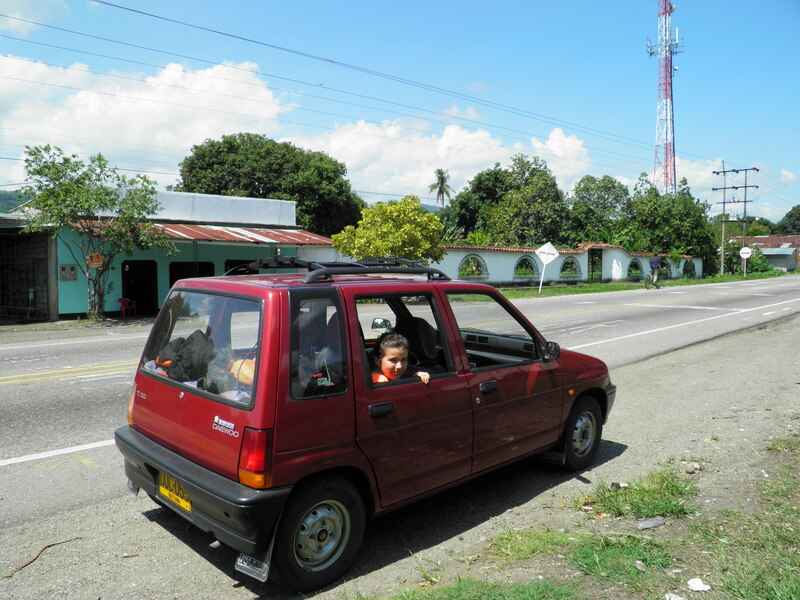 We spent Saturday exploring Lerida and cruising around. 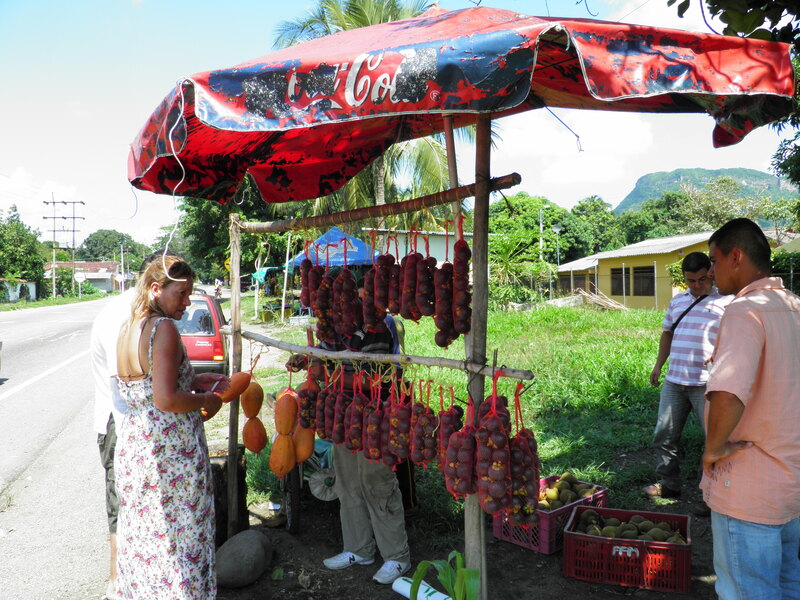 We stopped at several roadside stops to buy some local fruit before heading off to La Gaviota, a local finca owned by a Brazilian woman. 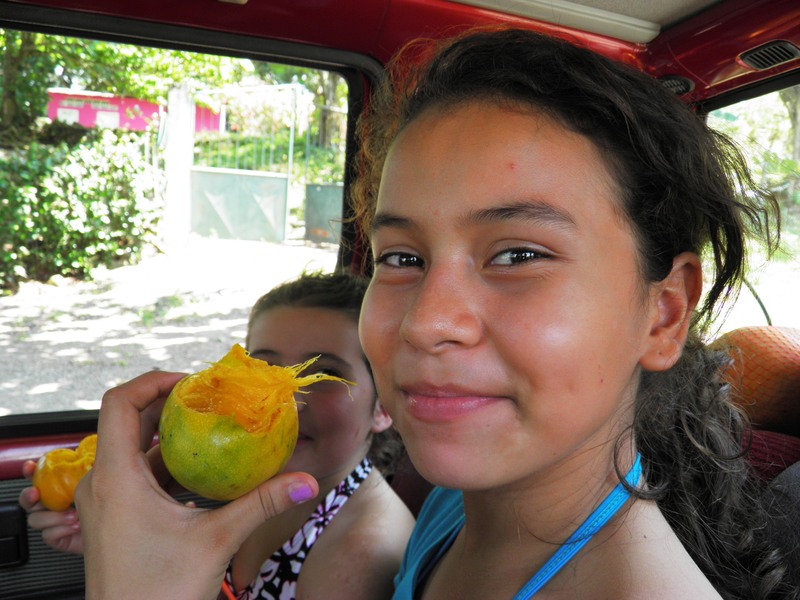 We bought some delicious sugar mangos, along with some sweet papayas and mandarins. Now, there are two kinds of fincas in Colombia; working fincas and pure vacation fincas. A working finca is usually a farm or an orchard – often owned by a city resident but managed locally. This allows people who live and work in Bogota to have a get-away place that also brings in income. 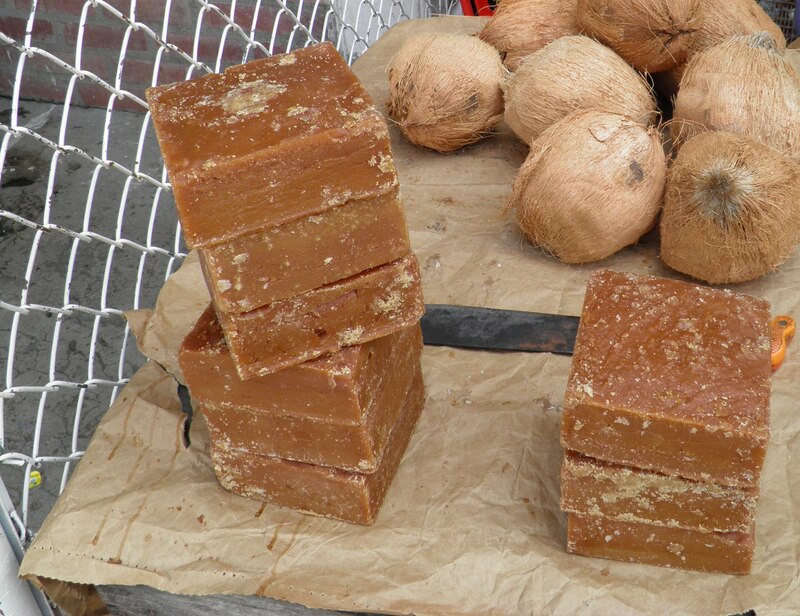 Some of these fincas have been in peoples’ families for generations and produce much of the fruit and livestock products (dairy, meat etc) that are sold in Colombia. 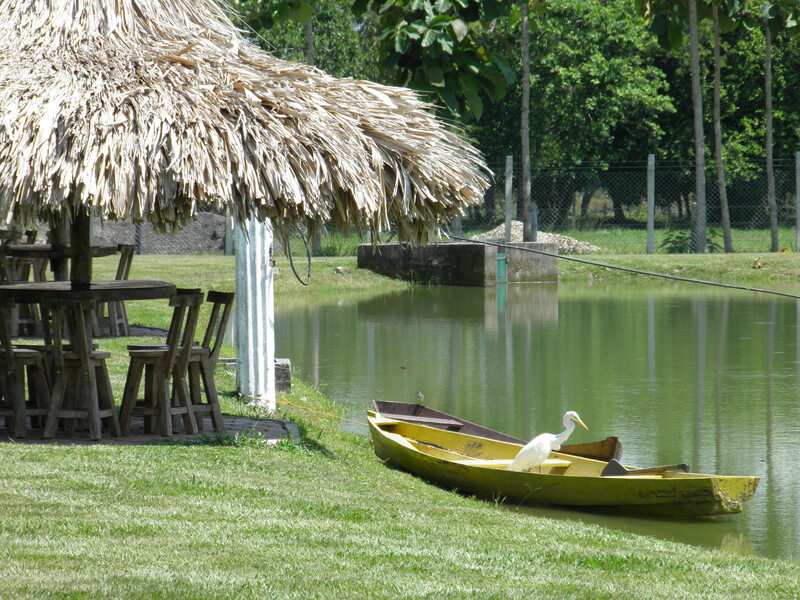 Other fincas are pure recreational homes, and as such, are primarily owned by wealthier Colombians though this is not always the case. Fincas vary from modest cabin style affairs to elaborate, ornate mansions with swimming pools, tennis courts and private fully stocked ponds. 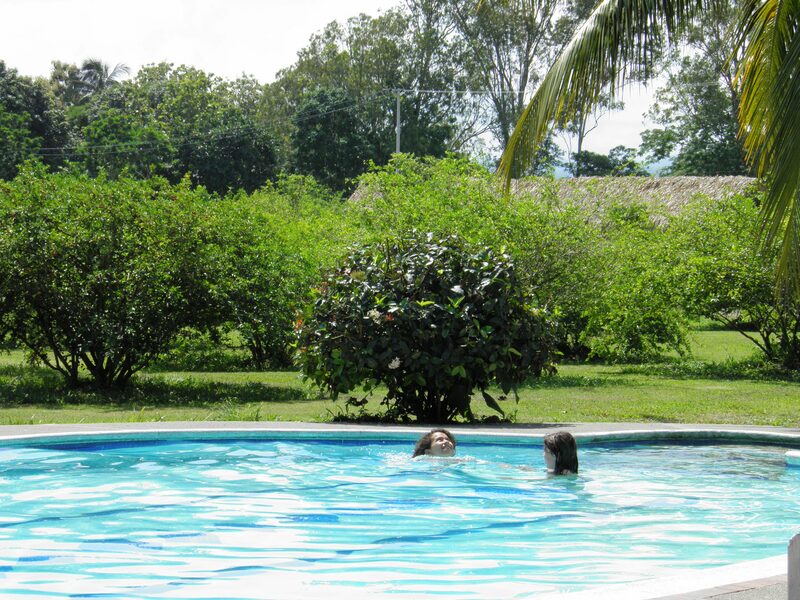 Since most working people can’t stay at their finca very often, many owners rent out their fincas part-time. Such was the case with the lovely La Gaviota. 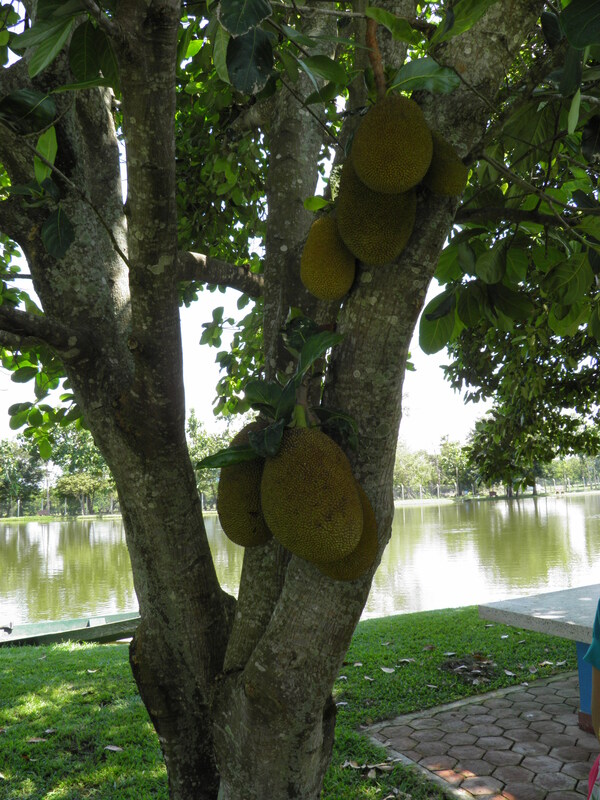 The entire property has been planted with fruits and trees native to Brazil and the staff encourages visitors to sample the many exotic varieties. 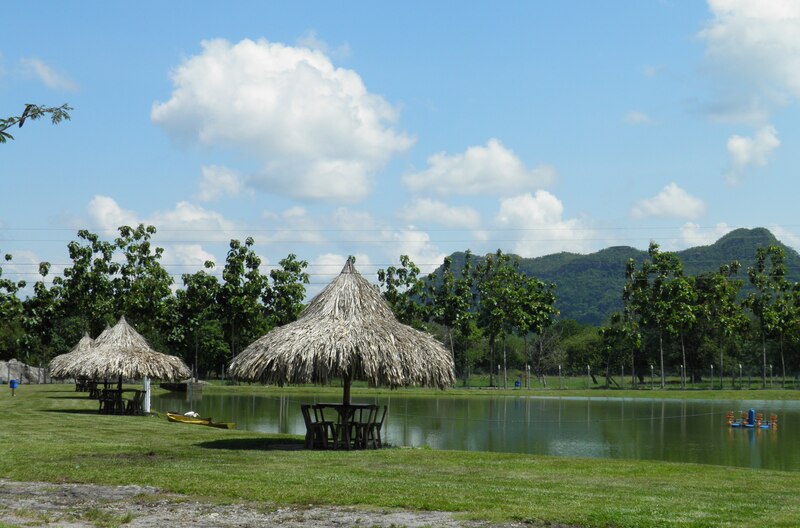 There is a swimming pool, and several lakes stocked with fish. There is also a hotel, and a restaurant, where they will prepare your fresh catch. Like many of the numerous fincas that dot the landscape here, they welcome travelers and offer services at reasonable rates. So we spent the sunny afternoon at the pool. 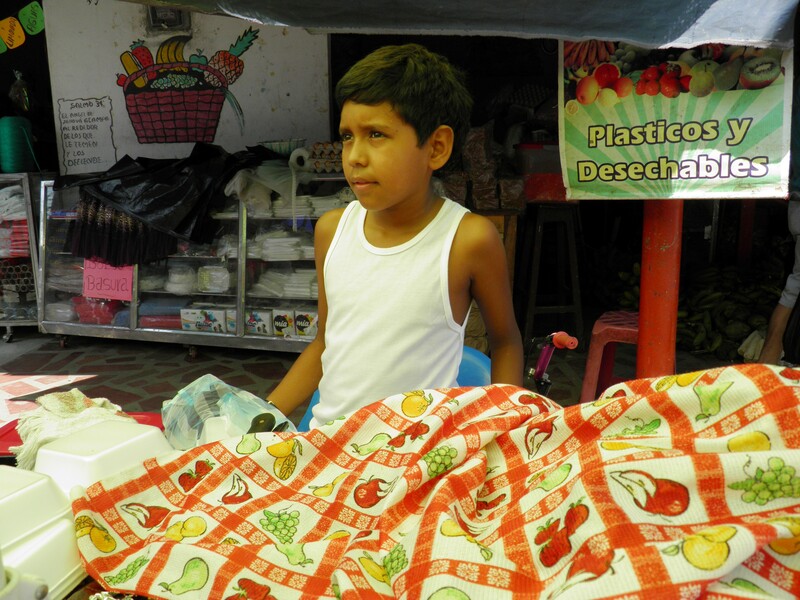 The next day, we went to the market in Lerida. We bought some more ‘tipica’ or traditional Tolidense food called lechona from a very nice young man who helps his grandmother. While I vary from vegetarianism to veganism in the states, I never hesitate to try another delicious typical dish when I am traveling – and it was marvelous; warm, savory and flavorful. 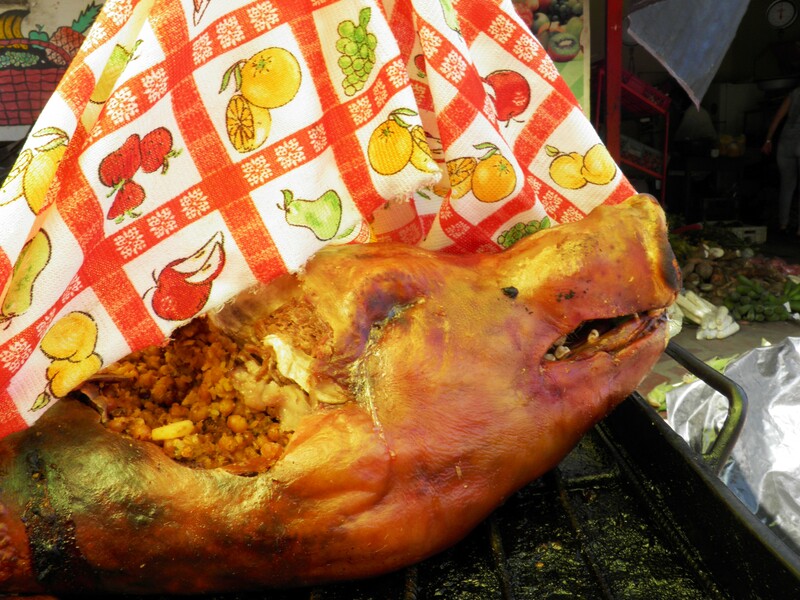 There are several variations of lechona, which is stuffed pork but the Tolidense version uses a base of garbanzo beans for the stuffing and comes with a sweet-flavored bread stuffing called insulso on the side. 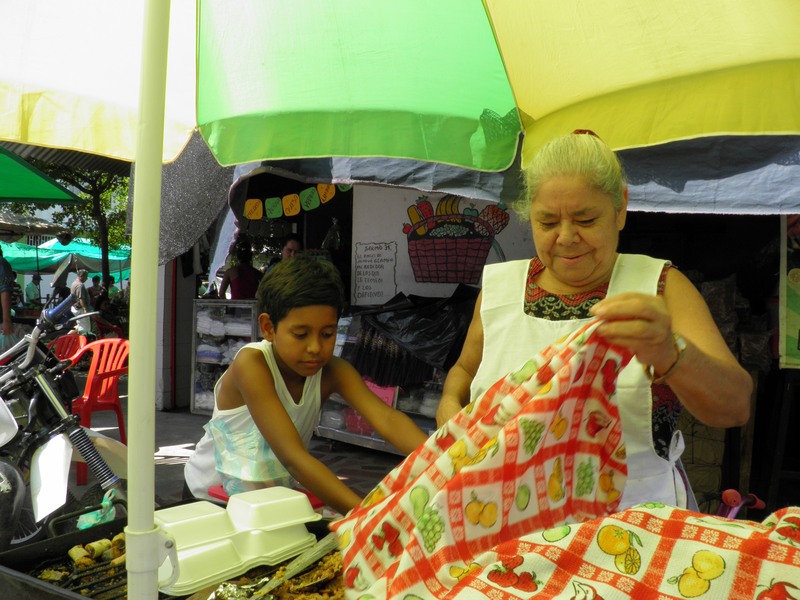 The grandmother, also invited us to come to her house where she had other tolidense specialities for sale, including tolidense tamales. 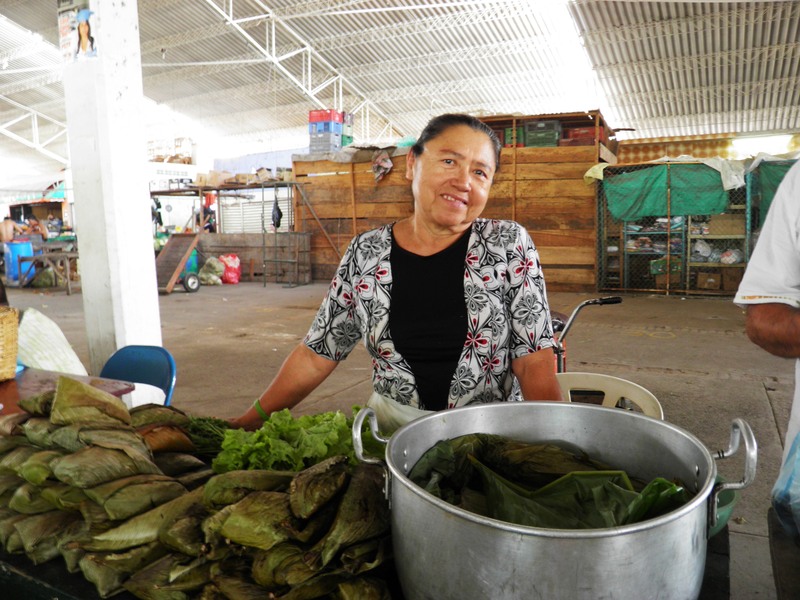 We met and purchased several tamales from another vendor in the market, a very nice woman who was very happy to pose for the camera. I am ashamed to say that I forgot to write her name in my little notebook because my hands were full with all of our great purchases. This entry was posted in Cuisine & Culture, Travel and tagged Colombia, eating in latin america, Fincas, food, La Gaviota, Lerida, market, regional cuisine, Tolima, tourism, travel. Bookmark the permalink.